Here at Time Bending Games we have just released the first ever beta version of Battle Ball to the Google Play Store. The features of the mobile version are exactly the same as the browser version at this point, but will most likely fall behind the main version with future updates. Since it is in beta, you will not find it in the store just by doing a search for it. Unfortunately, it is only tested on a group of people. To join in the fun, send me an email tiuipuv(AT)gmail(DOT)com and I will add you to the group of beta testers. 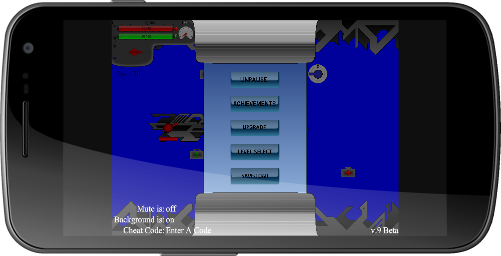 Added 2 levels, randomizes between the 3. Different levels have different colored platforms. Added Settings Menu, and moved Animations and Always Day into it. Removed 4th of July theme.